The Healthy Active Living and Obesity Research Group (HALO) at the Children’s Hospital of Eastern Ontario (CHEO) Research Institute is proud to present its 12th annual report. HALO had another successful and productive year in 2018, continuing our commitment to improve the health and well-being of children and youth in Ottawa, Ontario, across Canada, and around the world. In 2018 we said good-bye to Kevin Belanger, Casey Gray, Clara Moore, Jeremy Walsh and EunYoung Lee. We welcomed several others as you will see in this report. 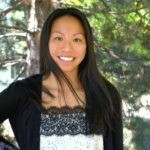 Of note, Eun-Young Lee began a tenure-track position as Assistant Professor at Queen’s University and Christine Delisle Nyström obtained a position at the Karolinska Institute in Stockholm, Sweden. We had 6 graduate students complete their degrees (see page 12 for the full list) furthering the reach and impact of the HALO extended family, and we welcomed several new graduate students to the group. The group continues to HALOize the workplace and “walk the talk” through a variety of healthy active work initiatives – all evidence of our commitment to healthy active living. HALO is proud to be the repeat winner of the Alex Munter Cup for road hockey dominance at CHEO and maintains the right to boast about this for at least another year! In 2018, HALO researchers published the greatest number (112) and greatest quality (15 papers published in journals with impact factor >5) of manuscripts in the Group’s history! As summarized in the “Highlights” section of the Annual Report, HALO had several notable achievements in 2018. These included the launch of the Canadian Assessment of Physical Literacy Second Edition (along with 14 peer-reviewed manuscripts in a special issue of BMC Public Health), the release and promotion of the 2018 ParticipACTION Report Card on the Physical Activity of Children and Youth, the release of the Active Healthy Kids Global Alliance “Global Matrix 3.0” in Adelaide Australia and Canada’s first “State of the Nation” report on physical literacy. With the 2018 legalization of marijuana in Canada, Dr. Chaput and Hughes Sampasa-Kanyinga published an important paper on cannabis use among adolescents in Ontario. Dr. Goldfield continued his work with his RUN study (Ramping up Neurocognition), studying the impact of a teacher-led active play intervention on kindergarten children’s cognitive, social and emotional development. Dr. Longmuir is examining how congenital heart disease impacts child physical and mental health outcomes with a randomized control trial of enhanced physical activity support in clinical care (PA TOOLKIT). Please also read the extensive list of awards HALOites received in 2018 (page 41). In 2018 HALO signed inter-institutional Memoranda of Understanding with 3 organizations (for a total of 9) and hosted visiting scholars and students from Brazil, Sweden and the United States. In addition to Stephanie Carson’s and Jackie Lee’s weddings, HALO staff, students and alumni welcomed TEN babies to the extended HALO family in 2018 – see the special spread on this in the HALO Photo Gallery section of the Report. Through research, leadership, knowledge translation, partnerships, training and education, and advocacy HALO works diligently to promote and preserve healthy active lifestyles while managing and treating childhood inactivity and obesity. This Annual Report provides a catalogue of the activities and accomplishments of HALO in 2018 and is intended to inform partners, stakeholders, funders, potential students and staff, and other interested parties about our group. It is available in print form upon request and also on our website at www.haloresearch.ca. HALO remains indebted to the donors, contributors, researchers, stakeholders, alumni and partners, who fund, facilitate, support and synergize our efforts. To all of you, please accept our most sincere thanks and our pledge to continue to work together for the health of our children. Best wishes for a healthy, active 2019! The Healthy Active Living and Obesity Research Group (HALO) at the Children’s Hospital of Eastern Ontario (CHEO) Research Institute is proud to present its 11th annual report. HALO had another successful and productive year in 2017, continuing our commitment to improve the health and well-being of children and youth in Ottawa, Ontario, across Canada, and around the world. In 2017 we said good-bye to Katie Gunnell, Richard Larouche, Geneviève Leduc, and Veronica Poitras, and we welcomed several others as you will see in this report. Of note, both Katie and Richard have taken up tenure-track positions as Assistant Professors at Carleton University and the University of Lethbridge respectively. We had four graduate students complete their degrees (Caroline Dutil, MSc; Justin Lang, PhD; Alessandro Tirelli, MA; Darcie Valois, MA) furthering the reach and impact of the HALO extended family, and we welcomed several new graduate students to the group. The group continues to play tennis, soccer and road hockey at lunch, have walking or outdoor meetings whenever possible, and Hélène Sinclair does her best to activate CHEO staff through the Fit Club – all evidence of our commitment to healthy active living. HALO is proud to be the inaugural winner of the Alex Munter Cup for road hockey dominance at CHEO and maintains the right to boast about this at least until next year’s tournament. HALO was proud to celebrate Canada’s 150th birthday in 2017 by promoting the ParticipACTION 150 Playlist with our strategic partner ParticipACTION. In partnership with the Canadian Society for Exercise Physiology, PartcipACTION, the University of Alberta, and the Public Health Agency of Canada we released the Canadian 24-Hour Movement Guidelines for the Early Years (0-4 years). We launched the Canadian Assessment of Physical Literacy Second Edition and the Sedentary Behaviour Research Network terminology consensus project findings. 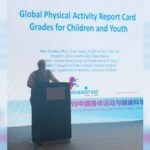 With leadership from HALO, the Active Healthy Kids Global Alliance initiated the development of the Global Matrix 3.0, collaborating with 53 countries to produce and compare physical activity report cards for children and youth around the world. With support from the Government of Ontario, Pat Longmuir initiated collaborations with colleagues in China to measure physical literacy in healthy children and children with medical conditions and disabilities. 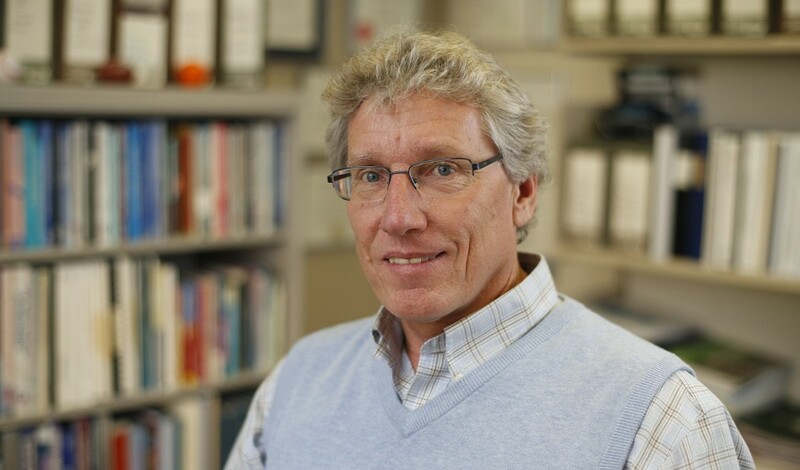 As well, with support from the Social Sciences and Humanities Research Council of Canada and the Public Health Agency of Canada, Dr. Gary Goldfield has launched a large randomized controlled trial to test whether training kindergarten teachers to promote physical activity during school hours can improve children’s cognitive development. If this novel study shows the program is effective, this could lead to changes in the kindergarten curriculum involving the promotion of physical activity that could improve children’s cognitive development, resulting in improved learning and performance in school. Finally, Dr. Chaput initiated research collaborations with scientists in Australia to better understand the effects of screen media exposure on sleep patterns of children. In 2017 HALO signed inter-institutional Memoranda of Understanding with Research Center of Sports and Physical Activity – Pedagogic University Mozambique and hosted visiting scholars and students from Hong Kong, Brazil and Canada. We also celebrated two births (Justin Lang’s son Jack and Kylie Schiblie’s daughter Eva) and Hélène Sinclair’s engagement in Hawaii in April. Through research, leadership, knowledge translation, partnerships, training and education, and advocacy HALO works diligently to promote and preserve healthy active lifestyles while managing and treating childhood inactivity and obesity. This Annual Report provides a catalogue of the activities and accomplishments made by HALO in 2017 and is intended to inform partners, stakeholders, funders, potential students and staff, and other interested parties about our group. It is available in print form upon request and also on our website at www.haloresearch.ca. HALO remains indebted to the donors, contributors, researchers, stakeholders, alumni and partners, who fund, facilitate, support and synergize our efforts. To all of you, please accept our most sincere thanks and our pledge to continue to work together for the health of our children. Best wishes for a healthy, active 2018! The Healthy Active Living and Obesity Research Group (HALO) at the Children’s Hospital of Eastern Ontario (CHEO) Research Institute turns 10 this year! As a result, this year’s annual report has an expanded photo gallery and a more nostalgic feel – we hope you enjoy it. We are located on the second floor of CHEO Research Institute building 1; if you get a chance, come by to visit and say happy anniversary! Over the past 10 years HALO has published 606 peer-reviewed manuscripts that have been cited >15,000 times! We have made >1,050 research and professional presentations and have been awarded >$14,500,000 in research-related funding. See page 2 for a brief summary of specific HALO accomplishments that are examples of large-scale practice-changing research. While we are just entering our tween years, we are very proud of our accomplishments during our childhood. Through research, leadership, knowledge translation, partnerships, training and education, and advocacy HALO works diligently to promote and preserve healthy active lifestyles while managing and treating childhood inactivity and obesity. As an identified area of focus, HALO benefits from the extensive support of the CHEO Research Institute, CHEO Foundation and CHEO itself. This Annual Report provides a catalogue of the activities and accomplishments made by HALO in 2016 which are intended to inform partners, stakeholders, funders, potential students and staff, and other interested parties about our group. It is available in print form upon request and also on our website at www.haloresearch.ca. HALO remains indebted to the donors, contributors, researchers, stakeholders, alumni and partners, who fund, facilitate, support and synergize our efforts. To all of you, please accept our most sincere thanks and join us in celebrating our 10th anniversary! Best wishes for a healthy, active 2017. The Healthy Active Living and Obesity Research Group (HALO) at the Children’s Hospital of Eastern Ontario Research Institute (CHEO-RI) had another successful and productive year in 2015. It was the first full year with HALO comfortably established in its consolidated home on the second floor of Research Institute 1 – it is nice to be “settled”. On the eve of our 10th anniversary we had our most productive and influential year to date. The reward and repeated evidence of positive impact on the lives of children and youth in Ottawa, Ontario, across Canada, and around the world overshadows the present challenges associated with progressive resource constraints. In 2015 we welcomed visiting scholars and students from Australia, Brazil, Chile, France and Zimbabwe; and we welcomed two new babies – baby Ruby (Casey Gray) and baby Charlie (Angela Wilson). Self-assessments are usually positive, so my assessment of 2015 as another good and productive year should come as no surprise. However, there are objective metrics that can be used to substantiate HALO’s impact. For example, in addition to publishing 93 peer-reviewed papers in scientific journals in 2015, the research publications from HALO scientists were cited >3000 times in 2015 alone – extraordinary evidence of the impact and credibility of our work. Furthermore, local, national and international news outlets routinely seek comment from HALO scientists as thought leaders; and HALO scientists were invited to deliver >130 presentations and lectures at scholarly conferences around the world (see presentations section for details) in 2015. There were many specific highlights in 2015 and I encourage you to read about these in this Annual Report. 2015 also marked the transition of Dr. Kristi Adamo and her research team to the School of Human Kinetics at the University of Ottawa. 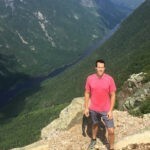 Dr. Adamo is one of the founding members of HALO and is the 2015 Canadian Society for Exercise Physiology Young Investigator Award recipient. Congratulations to Dr. Adamo on her award and her new position. Dr. Adamo will remain connected to HALO as an Affiliated Investigator. Through research, leadership, knowledge translation, partnerships, training and education, and advocacy HALO works diligently to promote and preserve healthy active lifestyles, while managing and treating childhood inactivity and obesity. As an identified area of focus, HALO benefits from the extensive support of the CHEO Research Institute, CHEO Foundation and CHEO itself. This Annual Report provides a catalogue of the activities and accomplishments made by HALO in 2015 and is intended to inform partners, stakeholders, funders, potential students and staff, and other interested parties about our group. It is available in print form upon request and also on our website at www.haloresearch.ca. HALO remains indebted to the donors, contributors, researchers, stakeholders, alumni and partners, who fund, facilitate, support and synergize our efforts. To all of you, please accept our most sincere thanks. Best wishes for a healthy, active 2016. The Healthy Active Living and Obesity Research Group (HALO) at the Children’s Hospital of Eastern Ontario (CHEO) Research Institute had a very good year in 2014 despite the ever-increasing funding challenges and administrative demands of doing research. In 2014 we welcomed Dr. Katie Gunnell to the group as a new investigator. Dr. Gunnell’s research focuses on understanding health-related behaviours in various populations as well as quantitative data analysis and research methods – she is a welcome addition to the group. Throughout 2014 the HALO group was maintained at 30-35 scientists, staff, students and visitors – a healthy and manageable size capable of having demonstrable impact on the health and well-being of children in Ottawa, Ontario, Canada and internationally. This year we had success in areas across the diversity of our mandate to provide international leadership and research excellence in healthy active living and obesity in children and youth. With leadership from Active Healthy Kids Canada, we participated in the Global Summit on the Physical Activity of Children in Toronto (www.activehealthykids.ca). More than 750 delegates from 32 countries participated. The Global Matrix was released at the Summit as part of the 10th anniversary Active Healthy Kids Canada Report Card – the result of a harmonized comparison of physical activity behaviours among 15 countries from around the Globe. This cooperation led to global media coverage and ignited a worldwide dialogue that questioned some of our fundamental beliefs about the important levers for promoting physical activity among children around the world. The first Edition of the complete Canadian Assessment of Physical Literacy was released after nearly 7 years of preparatory work (www.capl-ecsfp.ca). 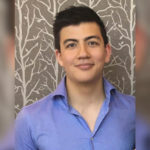 The Canadian Society for Exercise Physiology position stand: Benefit and risk for promoting childhood physical activity was published in Applied Physiology, Nutrition, and Metabolism with leadership from HALO. The clinical arm of HALO, the Centre for Healthy Active Living (CHAL), has been busy with its innovative family-based obesity management program and is involved in the newly formed and funded CIHR Team Addressing Bariatric Care in Canadian Children (Team ABC3). The new Physical Activity and Metabolism Lab (formally known as the HALO lab) became fully operational and Dr. Kristi Adamo has orchestrated the necessary training of all HALO staff and students. New research in placental biology, healthy pregnancy, early childhood physical activity and sedentary behaviour, sleep, integrated movement behaviours, the importance of physical activity and physical literacy among children with chronic conditions, active transportation, active outdoor play and healthy active living epidemiology in the pediatric population are but a few areas of current research focus. Through research, leadership, knowledge translation, partnerships, training and education, and advocacy HALO continues to promote and preserve healthy active lifestyles while managing and treating childhood inactivity and obesity. The prominence of HALO within the new CHEO Research Institute strategic plan remains intact. Please read through this annual report for highlights and details of our accomplishments in 2014 and visit our website (www.haloresearch.ca) to keep abreast of our work and contributions. This Annual Report provides a catalogue of the activities and accomplishments made by HALO in 2014 and is intended to inform partners, stakeholders, funders, potential students and staff, and other interested parties about our group. It is available in print form upon request and also on our website at www.haloresearch.ca. HALO remains indebted to the donors, contributors, researchers, stakeholders and partners, who fund, facilitate, support and synergize our efforts. To all of you, please accept our most sincere thanks. Best wishes for a healthy, active 2015. It is truly an honour to write this welcome message each year. It is an honour because I am so proud and privileged to be a part of the Healthy Active Living and Obesity Research Group (HALO) at the Children’s Hospital of Eastern Ontario (CHEO) Research Institute. I am also thrilled to be a part of the healthy active living promotion sector in Canada – an incredible group of individuals and organizations working everyday to improve the health and wellness of Canadian children and their families. delivered 40 scholarly presentations; this year we delivered 102 in 11 countries. In our first 7 years we have secured $8,402,466 in research funding, published 342 papers and delivered 696 academic, scholarly, and professional presentations around the world. In our short history we have become recognized within Canada and internationally as a centre of excellence for the study of healthy active living and obesity in the pediatric population. The collective impact of our work is indeed something to be proud of and celebrate! Through research, leadership, knowledge translation, partnerships, training and education, and advocacy HALO continues to promote and preserve healthy active lifestyles while managing and treating childhood inactivity and obesity. The contributions of HALO in pursuing its mission in 2013 were the most substantial to date. The size and scope of HALO’s activities have increased significantly and continuously throughout its 7-year existence. Please read through this annual report for highlights and details of our accomplishments in 2013 and visit our website (www.haloresearch.ca) to keep abreast of our work and contributions. HALO remains indebted to the donors, contributors, researchers, stakeholders and partners, who fund, facilitate, support and synergize our efforts. To all of you, please accept our most sincere thanks. This Annual Report provides a catalogue of the activities and accomplishments made by HALO in 2013 and is intended to inform partners, stakeholders, funders, potential students and staff, and other interested parties about our group. It is available in print form upon request and also on our website at www.haloresearch.ca. Whether you derive inspiration from the solitude of a walk through freshly fallen snow, the warmth of the sun as you dry yourself off after a lake swim, the pure joy of active free play with your family or friends, or the amazing feats of the athletes in the Sochi Olympics and Paralympics, I encourage you to harness this inspiration, share it, embrace it, and welcome it as an important member of your behavioural family. Best wishes for a healthy, active 2014. Best wishes for a healthy, active 2014. In this column last year, I highlighted international, national, and provincial declarations of increased commitments to health promotion and disease prevention. I posed the question, are we really ready, finally, to commit to prevention and the preservation of health? While recognizing that the political machinery moves slowly, there is no evidence that the various declarations have gained any traction. This has been the case since the Lalonde Report brought the intuitive importance of disease prevention to the collective consciousness of Canadians in 1974. Such lethargy further mortgages the health of the population and the Canadian health debt continues to rise far beyond what we will ever be able to afford to repair or pay back. Unfortunately, informed predictions forecast the greatest consequences will be borne by our children. On a positive note, the physical activity sector in Canada continues to make significant progress despite anemic government involvement or support. In March 2012, with leadership from HALO, the Canadian Society for Exercise Physiology released the first Canadian Physical Activity Guidelines for the Early Years (aged 0-4 years) and the world’s first Sedentary Behaviour Guidelines for the Early Years. Throughout 2012 the physical activity sector worked together to create Active Canada 20/20 – A Physical Activity Strategy and Change Agenda for Canada. Although the 2012 Active Healthy Kids Canada Report Card on Physical Activity for Children and Youth gave the country a failing grade for the 6th consecutive year, the Report Card theme questioning “is active play extinct?” led to the creation of a communications campaign by ParticipACTION to Bring Back Play! A national initiative targeted to health care providers called Exercise is Medicine was also launched in an effort to increase the measurement of physical activity as the 5th vital sign and the prescription of physical activity for the preservation and enhancement of health. Through research, leadership, knowledge translation, partnerships, training and education, and advocacy HALO will continue to promote and preserve healthy active lifestyles while managing and treating childhood inactivity and obesity. The Centre for Healthy Active Living (CHAL), directed by Dr. Stasia Hadjiyannakis, is a provincial centre of excellence for the management and treatment of children and families with complex obesity, and provides HALO’s clinical research leadership. The contributions of HALO in pursuing its mission in 2012 were the most substantial to date. The size and scope of HALO’s activities have increased significantly and continuously throughout its 5-year existence. Please read through this annual report for highlights and details of our accomplishments in 2012 and visit our website to keep abreast of our work and contributions. HALO remains indebted to the donors, contributors, researchers, stakeholders and partners who fund, facilitate, support, and synergize our efforts. To all of you, please accept our most sincere thanks. Our annual report provides a catalogue of the activities and accomplishments made by HALO in 2012 and is intended to inform partners, stakeholders, funders, potential students and staff, and other interested parties about our group. It is available in print form upon request and on our website. If you have any questions, suggestions, or opportunities for HALO, please do not hesitate to contact us. Best wishes for a healthy, active 2013. In September 2011, at their sixty-sixth session in New York City, the United Nations General Assembly made a political declaration on the prevention and control of non-communicable diseases – a global commitment to increase efforts at chronic disease prevention. Dr. Arlene King, Chief Medical Officer of Health in Ontario, stated in her 2010 annual report Health, Not Health Care – changing the conversation that “it is time to shift our focus from health care to prevention”, “it is about fewer people getting sick”, and “it is about more people living long and healthy lives”. A similar sentiment can be found in the Federal Government’s Declaration on Prevention and Promotion released in the fall of 2010. Are we really ready, finally, to commit to prevention and the preservation of health? Have we reached a tipping point in our commitment to prevention? I am not so sure, but it certainly seems we are closer to the precipice then we were last year. The urgency to prevent disease and preserve health has never been greater. In January 2011 the Canadian Society for Exercise Physiology released updated physical activity guidelines for school-aged children and youth and in February they released the first ever sedentary behaviour guidelines for the same age group. Using these new, evidence-informed guidelines, research from Statistics Canada’s Canadian Health Measures Survey showed that only 7% of Canadian children are achieving the minimum physical activity recommended and they are spending two-thirds of their waking time in sedentary behaviours. And once again the 2011 Active Healthy Kids Canada Report Card on Physical Activity for Children and Youth gave the country a failing grade. ParticipACTION began their “Think Again” campaign to encourage parents to be more attentive to the physical activity levels of their children. Even if our efforts in promoting healthy active living have increased, they clearly remain insufficient. The Healthy Active Living and Obesity Research Group (HALO) at the CHEO Research Institute are committed to leading the battle against unhealthy living behaviours and the effective management and treatment of childhood obesity. Through research, leadership, partnerships, education and advocacy HALO will continue to promote and preserve healthy active lifestyles while managing and treating childhood inactivity and obesity. The contributions of HALO in 2011 in this regard were by far the most substantial to date. The size and scope of HALO’s activities increased significantly in 2011 and we further increased the number of graduate students working with our group. Please read through the 2011 Annual Report for highlights and details of our accomplishments in 2011 and visit our website (www.haloresearch.ca) to keep abreast of our work and contributions. The 2011 Annual Report provides a catalogue of the activities, accomplishments and contributions made by HALO in 2011 and is intended to inform partners, stakeholders, funders, potential students and staff, and other interested parties about our group. The Annual Report is available in print form upon request and also on our website at www.haloresearch.ca. I hope you enjoy reading our Annual Report. If you have any questions, suggestions or opportunities for HALO, please do not hesitate to contact us. Best wishes for a healthy, active 2012. Sidney Crosby scored in overtime to give Canada the gold medal in the final event of The Games to secure the Vancouver Olympics as a defining event in Canada’s sporting history – Canadians were successful, proud, and motivated. And soon thereafter, the Federal Government extended its commitment to the “Own the Podium” program in an effort to preserve our sporting success in the years to come. We should all be proud and celebrate this positive momentum. But are we preserving the grass roots base of healthy active children from which our future Olympians and champions will emerge? Last year I began my welcoming remarks citing evidence from Statistics Canada that demonstrated clearly that the fitness of the nation has declined significantly and meaningfully over the past 30 years with the greatest declines noted in children and youth. The 2010 Active Healthy Kids Canada Report Card on Physical Activity for Children and Youth gave the country another failing grade. New Canadian Physical Activity Guidelines were just released in January 2011, and even though many believe the guidelines have been reduced, still only 7% of Canadian kids meet the standard. Furthermore, our children are spending on average 8.6 hours per day sedentary – 62% of their waking time. Surely such population trends will negatively impact our future sporting success and our future health. The Healthy Active Living and Obesity Research Group (HALO) at the CHEO Research Institute has continued its leadership in promoting and preserving healthy active lifestyles while managing and treating childhood inactivity and obesity. Indeed, 2010 was HALO’s busiest and most productive year to date. We were fortunate to hire two new Junior Research Chairs (Dr. Rachel Colley and Dr. Jean-Philippe Chaput) through generous funding support from The Lawson Foundation and the CHEO Foundation. The development of a multidisciplinary obesity treatment clinic designed to assist the most challenging obesity cases began in earnest in 2010 and is slated to be formally opened in 2011. We also increased the number of graduate students and research staff working in our group. Our research grant success and productivity, and our knowledge dissemination, transfer and translation outputs were at an all-time high in 2010. Please visit our website (www.cheori.org/halo) to keep abreast of our work and contributions. In summary, with our partners, funders, colleagues and friends, we are making a difference – but in many respects our work has just begun. As a national centre of excellence for research, leadership, training and advocacy, HALO strives to provide national and international leadership in the prevention, management and treatment of pediatric obesity and the promotion of healthy body weights and active living. New partnerships with the Canadian Society for Exercise Physiology, the Canadian Fitness and Lifestyle Research Institute, and the CBC Live Right Now initiative extend the reach and impact of the work HALO accomplished with its ongoing collaborations with Active Healthy Kids Canada, ParticipACTION, the Champlain Cardiovascular Disease Prevention Network, the CHEO Foundation, the CHEO Research Institute and the University of Ottawa, among others. This Annual Report provides a catalogue of the activities and contributions made by HALO in 2010, and is intended to inform partners, stakeholders, funders, potential students and staff, and other interested parties about our group. The Annual Report is available in print form upon request and also on our website. Best wishes for a healthy, active 2011.
cardiovascular disease care, and no Canadian young or old will be left unaffected. A new report from the Kaiser Foundation in the U.S. reports that 8‐18 year‐old children and youth are spending nearly eight hours per day on screen‐based media – an unprecedented amount of sedentary time. The U.S. Surgeon General (Dr. Regina Benjamin) and the First Lady (Michelle Obama) have targeted their energies towards resolving the growing problem of childhood obesity. What a challenge we face! The demand for research, leadership, training and advocacy in this area has never been greater and the Healthy Active Living and Obesity Research Group (HALO) at the CHEO Research Institute continues to try and meet these demands. As a national centre of excellence, HALO strives to provide national and international leadership in the prevention, management and treatment of pediatric obesity and the promotion of healthy body weights and active living. Strategic partnerships with Active Healthy Kids Canada, ParticipACTION, and the Champlain Cardiovascular Disease Prevention Network, among others, provide momentum for solutions and change. Much more needs to be done, and HALO will work arm‐in‐arm with partners in an attempt to conquer this public health crisis. The clinical demands to manage and treat the growing number of obese children and youth with co‐ morbidities and health complications are escalating. Although demand far exceeds the service capabilities, recent grant success has provided some support for the establishment of a multi‐ disciplinary obesity treatment clinic designed to assist the most challenging obesity cases. This is good news for patients and for the clinical research focus of HALO. The HALO research group continues to be very productive, dynamic and impactful. Highlights for the HALO group in 2009 included the acquisition of resources for the establishment of a multi‐ disciplinary obesity treatment clinic; the development of the Canadian Assessment of Physical Literacy; the completion of the Game Bike study; successful release of the 2009 Active Healthy Kids Canada Report Card; the completion of two papers from the KIDS‐CAN Research Alliance pilot study data collection in Kenya; and a much greater impact on training future leaders. Please read more details about the work of the HALO research group in the pages that follow. This Annual Report provides a catalogue of the activities and contributions of HALO in 2009 and is intended to inform partners, stakeholders, funders, potential students and staff, and other interested parties about our group. It also serves as a means for HALO to archive its work and facilitate assessments within and between years. Comments and suggestions on the Annual Report are always welcome. The Annual Report is available in print form upon request and also on our website at www.cheori.org/halo. The successes of HALO are attributed to the ability and commitment of the HALO faculty, staff, students and volunteers, and the institutional support received from CHEO, the CHEO Foundation, the CHEO Research Institute, the University of Ottawa and other strategic partners as identified in the Report. Best wishes for a healthy, active 2010. The obesity crisis, from conception to adulthood, shows no sign of retreating. In fact, the health consequences of prolonged exposure to environments that result in lifestyle patterns with sustained positive energy balance are increasingly overwhelming the capacity of the Children’s Hospital of Eastern Ontario (CHEO). Not only is the number of patients increasing, but so too is the complexity of their complications. The demand is exceeding the resources available to provide care and challenging the methods and models of care traditionally provided. The Healthy Active Living and Obesity Research Group (HALO) at the CHEO Research Institute continues to provide leadership in generating strategies to overcome the challenges associated with the clinical treatment of obesity. HALO also provides national and international leadership in the prevention of pediatric obesity and the promotion of healthy active living. 2008 was a very exciting, productive and successful year for HALO. The HALO Group continued to grow with an increase of 2.5 fulltime equivalent positions. This staff expansion was necessary to meet the research demands and successes of HALO. Highlights for the HALO group in 2008 included the successful release of the 2008 Active Healthy Kids Canada Report Card; the advancement of the KIDS-CAN Research Alliance with data collection in Kenya; and the initiation of health promotion outreach activities. Please read about these accomplishments in the highlights section below. All indices of success demonstrated significant improvement in 2008. Throughout the report there are figures illustrating productivity trends from 2006-2008. Over this three year period as HALO was becoming established remarkable increases have been seen in grants applied for, grants received, presentations and publications. 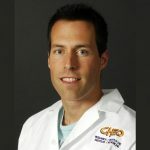 This success is attributed to the ability and commitment of the HALO faculty, staff, students and volunteers, and the institutional support received from CHEO, the CHEO Research Institute, the University of Ottawa, Active Healthy Kids Canada and other strategic partners as identified in the Report. Best wishes for a healthy, active 2009. There has been a 300-500% increase in the prevalence of childhood obesity in Canada over the past couple of generations. The etiology of the condition varies by genotype and phenotype but it is generally believed that changes in physical activity and eating behaviours have precipitated this global pandemic. Systematic and progressive changes to the built and social environments have produced conditions that encourage overeating and sedentary behaviours. Biological, social and environmental factors contributing to this growing problem are complex and interconnected, and best examined using a multidisciplinary approach. The increase in the prevalence and severity of childhood obesity in all areas of Canada has created increased demand for clinical care to address physical, mental and emotional co-morbidities. With this increased clinical demand emerged limitations and deficiencies in the availability of services, including sub-optimal physician training, insufficient pediatric obesity specialists, inadequate treatment options, under-developed models of care delivery, inadequate prevention initiatives and insufficient resources. The Children’s Hospital of Eastern Ontario (CHEO) and the Children’s Hospital of Eastern Ontario Research Institute (CHEO-RI) have been concerned about, and interested in, childhood obesity for some time. An active research program in this area has been in place for several years. Responding to the individual, familial, community and societal call for help, the CHEO-RI recently made a strategic decision to invest further in childhood obesity research. This further investment included a commitment of resources for research and support staff, office and laboratory space, and office and research infrastructure. The CHEO-RI is committed to the development of a “Centre of Excellence” in childhood obesity research. In October 2007 the newly expanded obesity research group held a strategic planning retreat to map out the future structure, function and priorities for this new group called the CHEO-RI “Healthy Active Living and Obesity Research Group” (HALO). The HALO Research Group is comprised of research scientists, clinicians, research staff, administrative support, and graduate and practicum students. Details of the HALO vision, mission, lines of business, structure, staff and research are provided in this first Healthy Active Living and Obesity Research Group Annual Report. As the inaugural Director of the Healthy Active Living and Obesity Research Group at the CHEO-RI, it is my pleasure to provide you with this first annual report. In collaboration with our partners, we have accepted the challenge to overcome the clinical and public health challenges of childhood obesity and inactivity. We look forward to your ongoing support and involvement in our quest to preserve, enhance and restore the health and wellness of our most precious resource, our children.